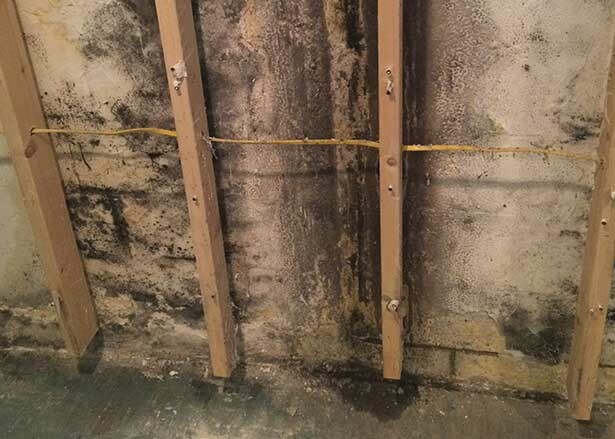 Mold occurs naturally all around us and plays an important role in our environment: to breakdown organic materials. So when mold is discovered in a home – on drywall, structural lumber, or finished carpentry – it should always be reason for concern. In most cases, mold growth occurs in a home after the addition of a water source, such as a leaky roof, flooding, or a humidity issue. A water source is always the “smoking gun,” and we work to isolate and resolve the moisture problem prior to major remediation. Pine Ridge Cleaning & Restoration can determine the root cause of the mold growth and return the environment to an acceptable and safe level. When you find mold in your home or business, you want to hire a company that you can trust to safely remove the mold and eradicate it from the source so that it never returns. Pine Ridge Cleaning & Restoration has advanced equipment, training, and the experience needed to find the source of your mold problem and eradicate it for good! Contrary to popular belief, mold is not easily removed. The first steps are crucial — we set up temporary containment walls, put the work space under negative pressure via HEPA air filtration, and do this all while wearing personal protective equipment (PPE). The basic scopes of most microbial mold remediation jobs include HEPA vacuuming all surfaces, washing with an anti-microbial detergent or applying advanced abatement products, removing affected materials following cleaning, and seal coating with anti-microbial mold sealants. The severity of the loss dictates the level and detail of the job scope. Pre- and post-clearance testing ensures that the job is done correctly. We love educating our customers. If you have any question regarding mold or mold remediation, please give us a call or shoot us an email. Our goal is to restore you home back to its original condition as soon as possible so you can return to clean and healthy living!